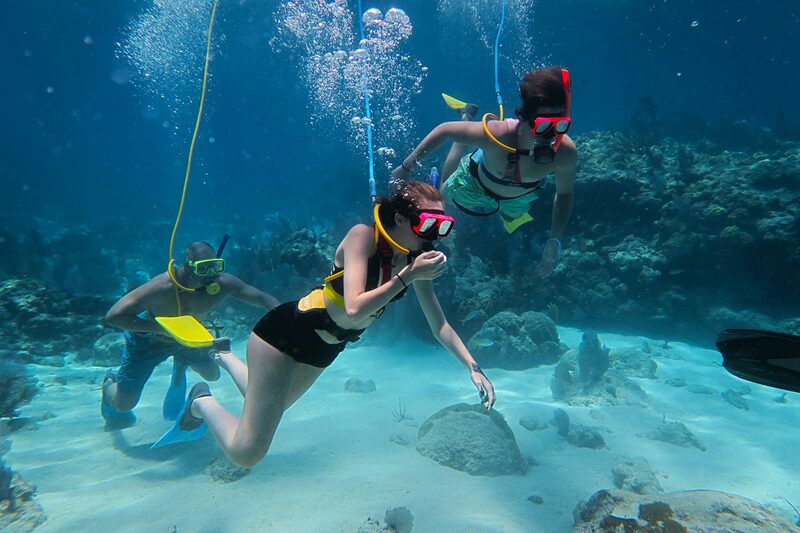 At SNUBA® Key West, safety and enjoyment for our guests is our number one priority. It is for this reason that all of our guides are Certified Rescue Divers, Divemasters or Instructors (either through PADI, NAUI or SSI). In order to become certified as a SNUBA® Guide, our crew members must go through training over and above that of non- SNUBA® professionals. 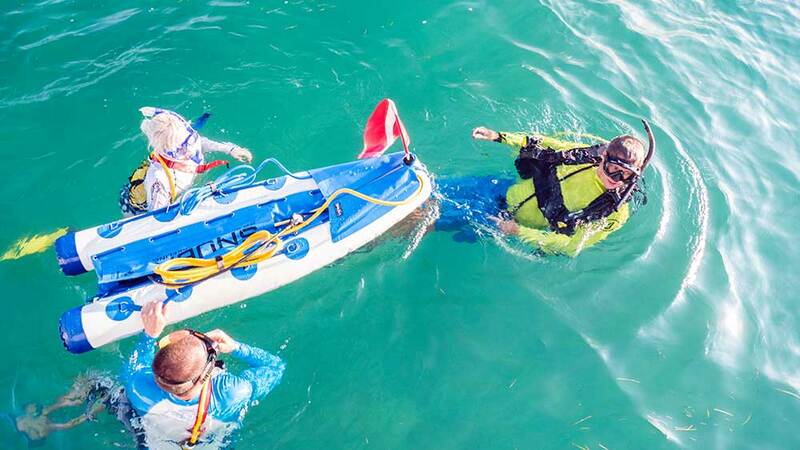 The only thing our guests need to know before their SNUBA® adventure is how to swim. Our highly-trained, experienced crew provides all the knowledge and skills necessary to make the most of our guests’ SNUBA® adventure! Each excursion features a fully-staffed boat. Our captain oversees all operations on deck, with assistance from at least one deckhand (extra deckhands added when we have a higher number of guests onboard) as well as in-water SNUBA® guides. Once guests are onboard, our SNUBA® guides deliver a speech about safety and in-water protocols. 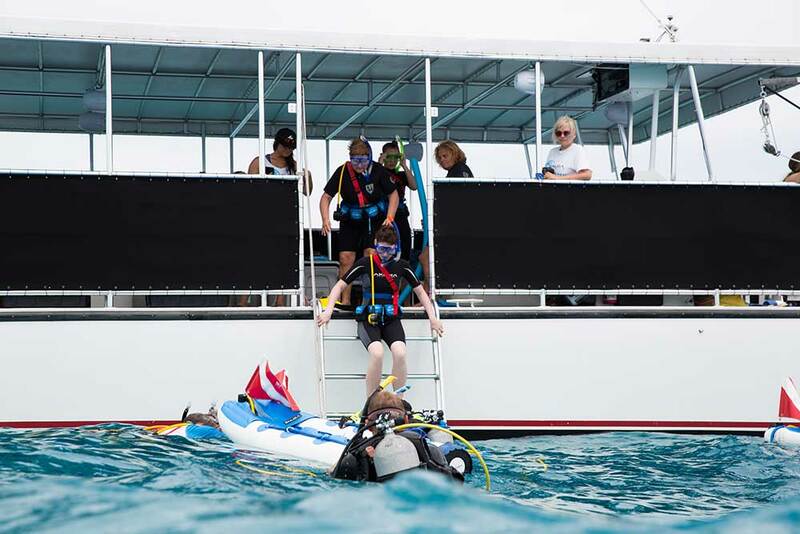 Covering topics ranging from technique to underwater communication, equipment introductions to wildlife spotting, guests are taught everything necessary to maximize their adventure! 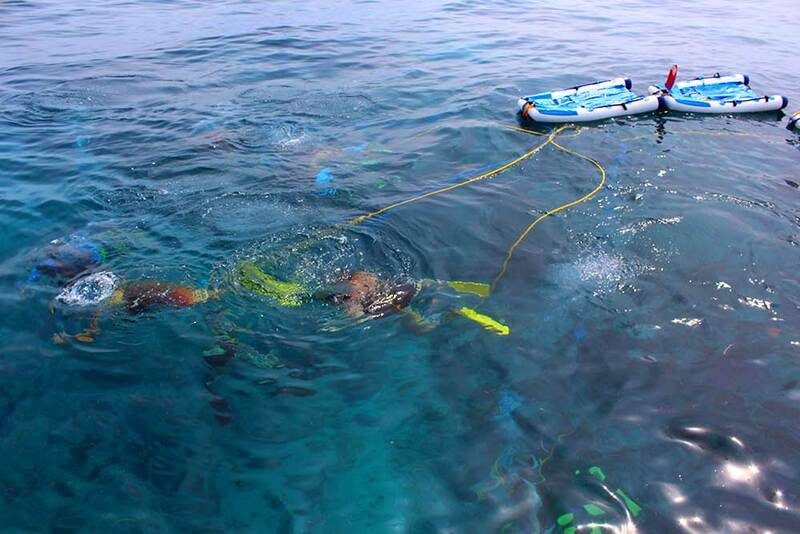 We welcome any questions necessary to achieve a full understanding of the hows and whys associated with SNUBA® diving before divers enter the water. 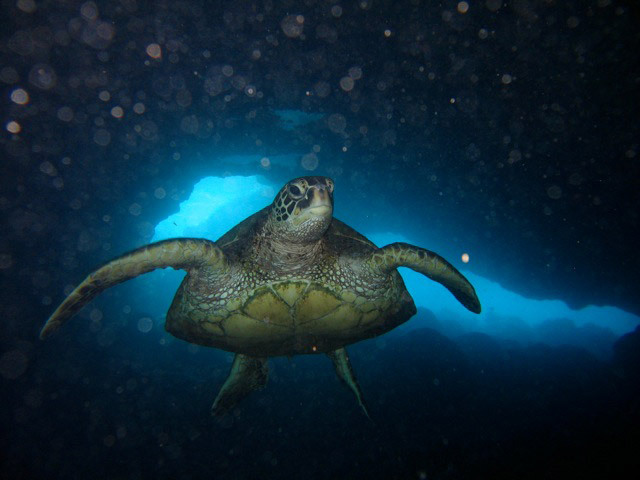 Our guides love getting to introduce new divers to the underwater world! One of the most important aspects of diving is in the pre-dive planning. 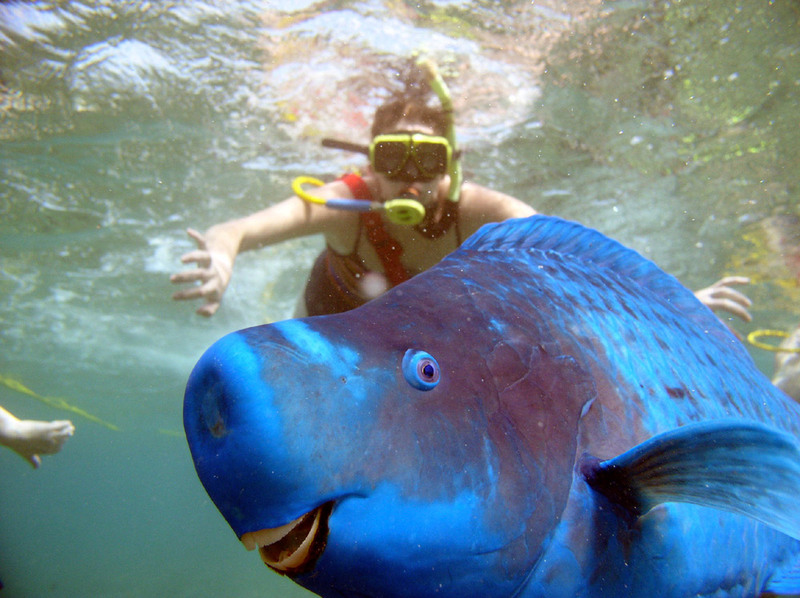 Prior to every trip, our captain chooses the best dive site based on weather and wind conditions. 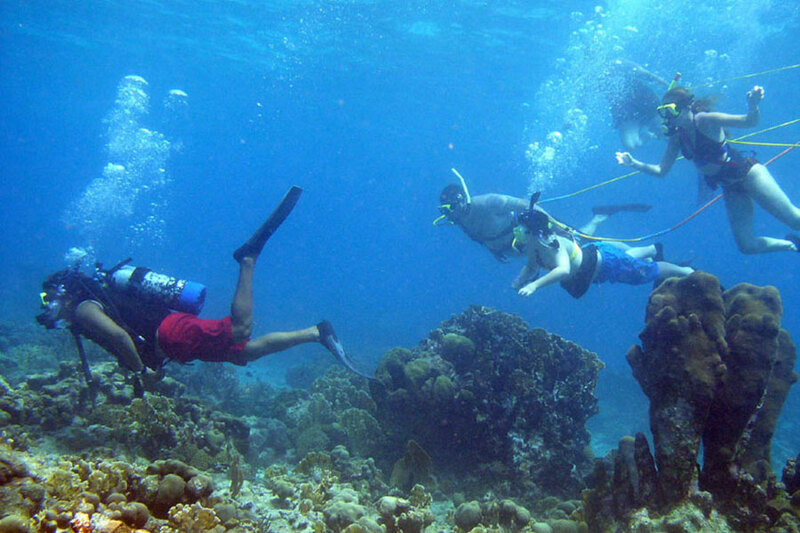 Our certified guides are then able to decide the best underwater courses to explore with our guests to maximize the experience and interact with the most sea life! 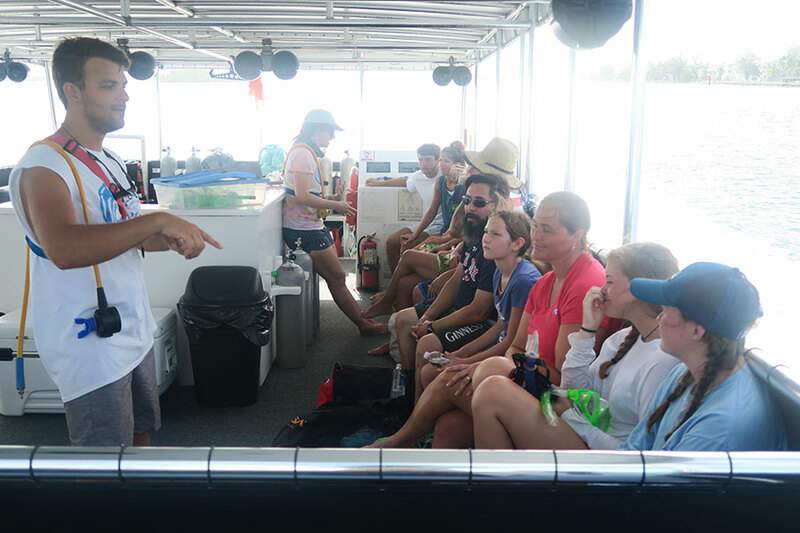 On the ride out to the dive site, our guides fit the guests with their gear and give a brief 15-20 minute pre-dive briefing. 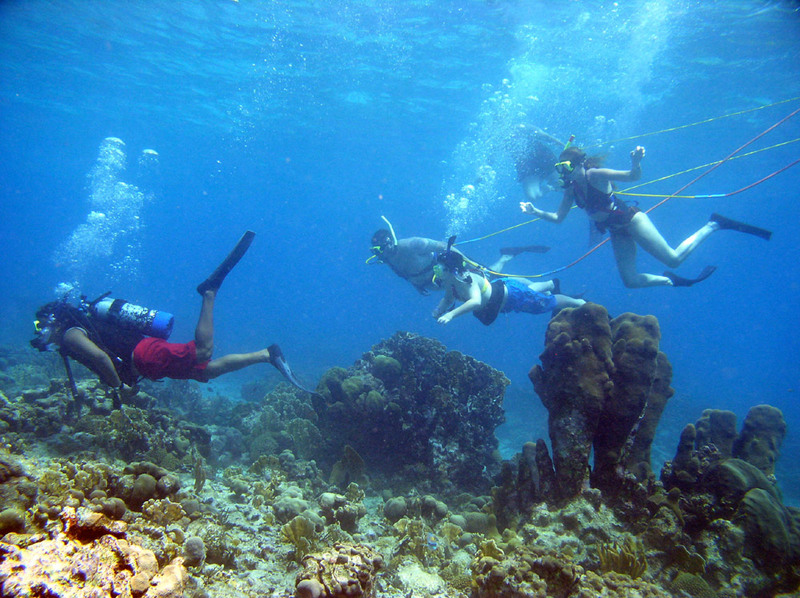 New divers are sure to be given all instructions they need to know to safely and successfully complete their dive. 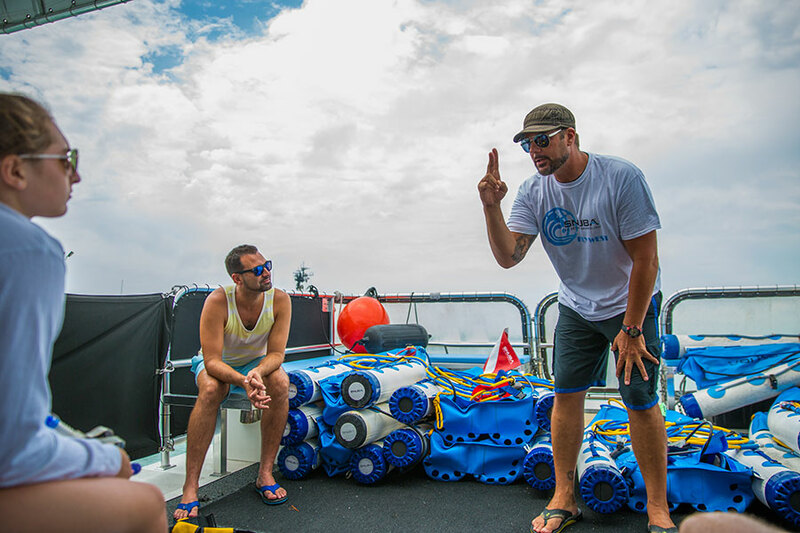 Upon arrival to the dive site, guides practice in-water skills to reiterate the pre-dive briefing and allow guests to get acclimated in the water. 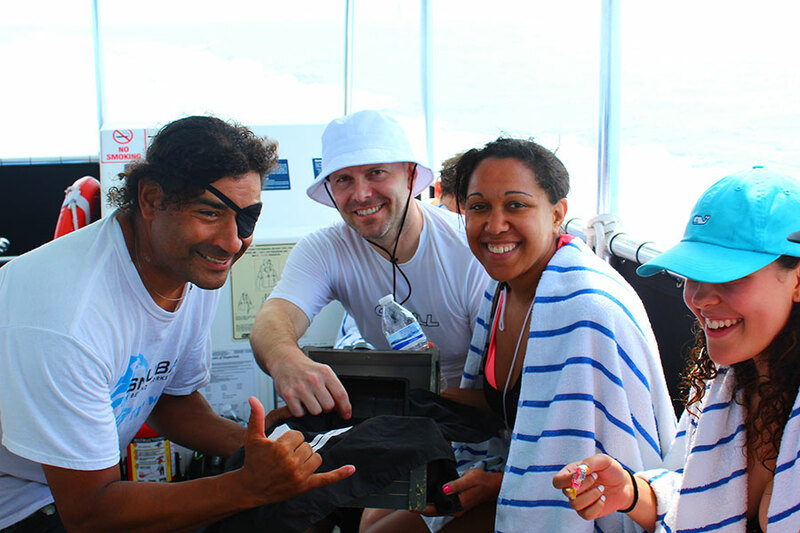 During this time, our experienced guides interact closely with all guests to ensure everyone is comfortable and ready for the dive. Once our guides determine during the above water training that their group is ready to embark on the dive, the underwater adventure begins! 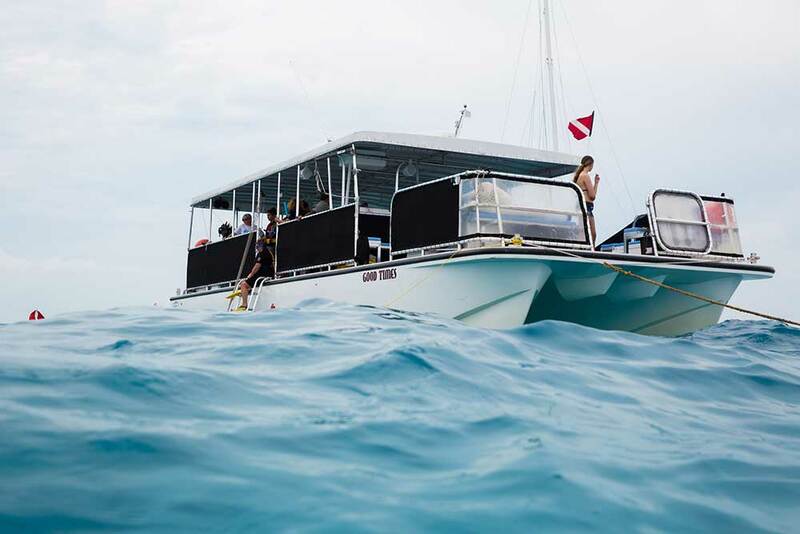 The guided tour allows guests to relax and enjoy the dive while the guide leads the way, ensures guests are safe, monitors air gauges, and introduces new divers to the underwater world! We love seeing novice diver’s reactions after they surface from that first dive! 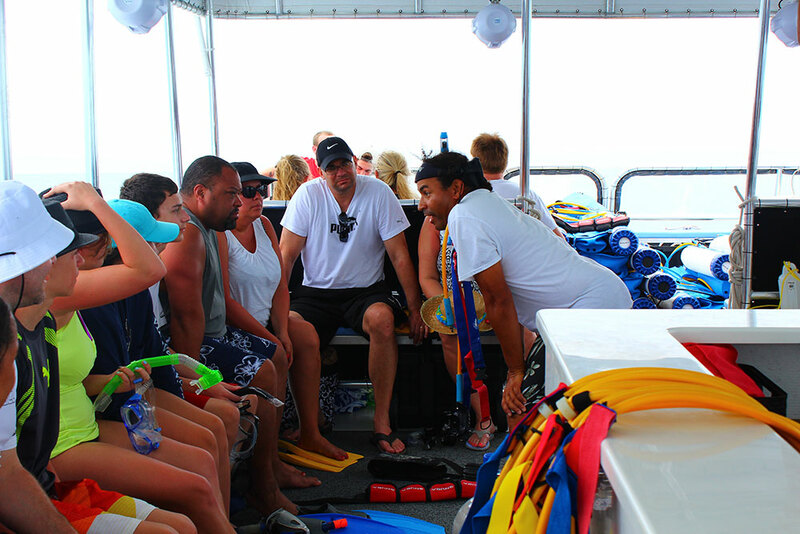 After the dive, our guides hang out with the guests and review the marine life they encountered. 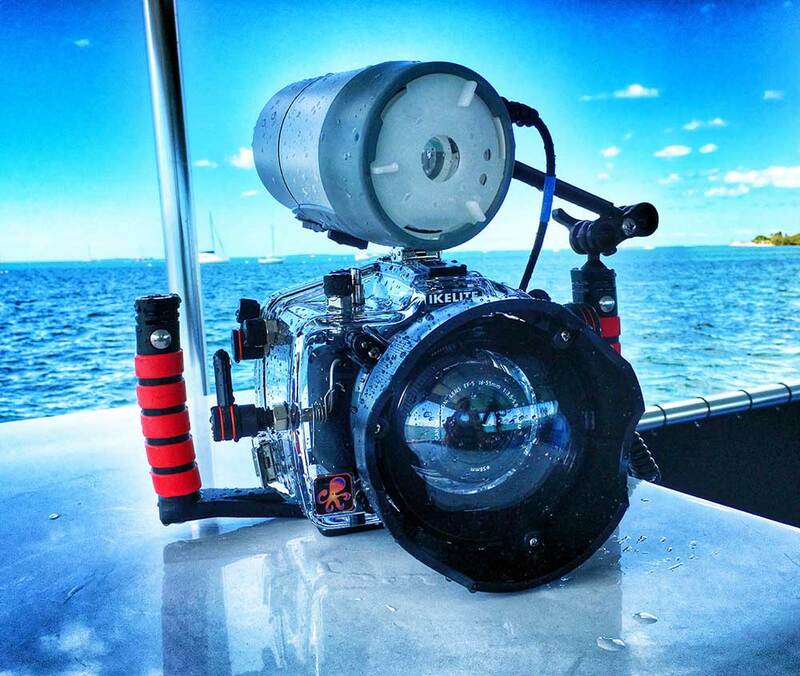 Our desire at SNUBA® Key West is not only to introduce diving to beginners but also to share our passion and spread knowledge about the wonders of the underwater world!